At Cornerstone Industries & Construction Services, LLC, we can provide you with all of your materials and construction needs. From bins to to secondary containment, we can help you get your project done. Protect grain from all weather conditions. The strong roof stands up to northern snow loads and high winds. Sioux Grain Systems keep grain fresh and in condition for years. 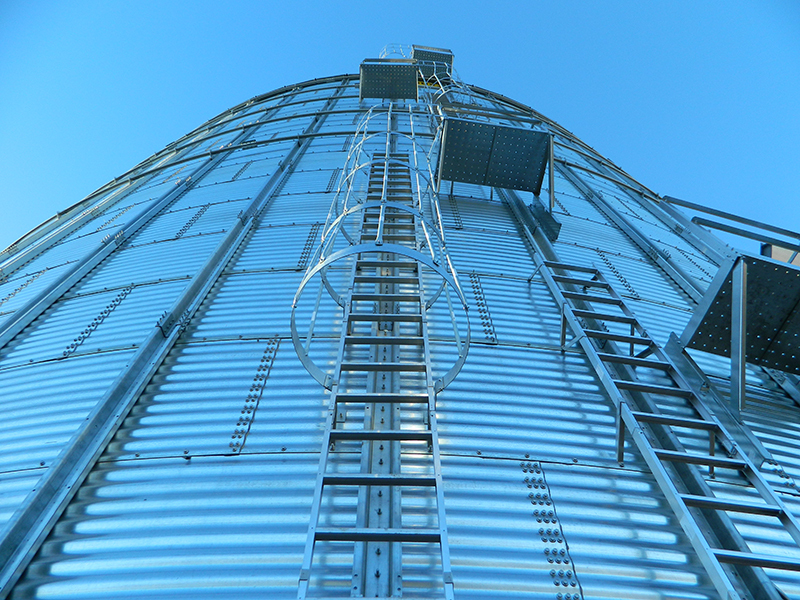 A 10 year warranty comes standard on every Sioux Steel farm bin. Plus, there is no additional cost for this feature. You get a great quality bin with a warranty that is the longest in the industry, giving you peace of mind. A variety of fans are available including: Axial fans, Centrifugal fans & VFD fans. All fans are made to stand up to tough operating conditions. Vertical supports offer added strength at the entrance opening. The aerodynamically engineered “channel-flow” shape delivers air between the fan and bin plenum. Multiple sizes fit every size fan and heater. 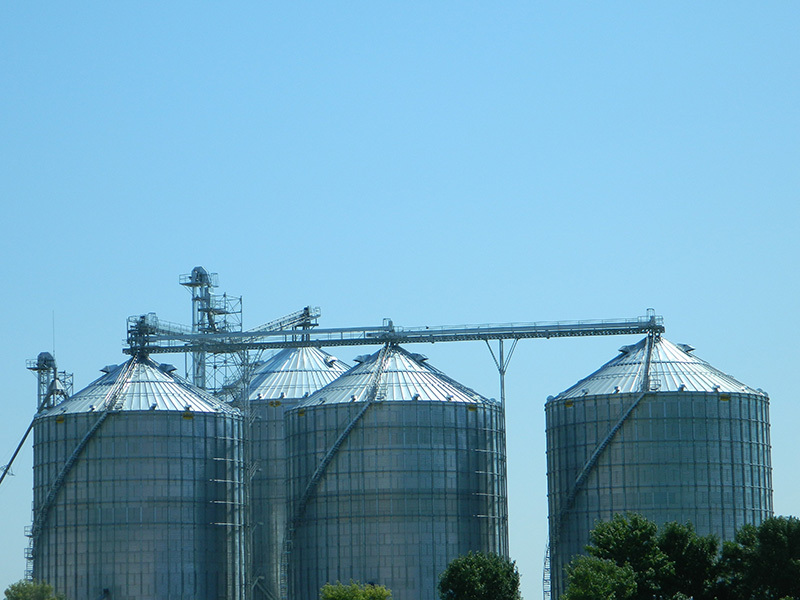 Cornerstone Industries and Construction Services uses Sioux Steel Commercial Grain Storage Systems which are engineered using the latest technology for your grain storage needs, while offering features that reinforce your confidence. Sioux Steel Commercial Bins are also covered by a ten-year warranty. 2 to 3 stiffeners per side wall sheet. 70 lb/bushel or 64 lb/bushel systems. Wind rings offer additional strength against the elements. Test weights of grains have increased over the last decade due to new hybrids and genetics. 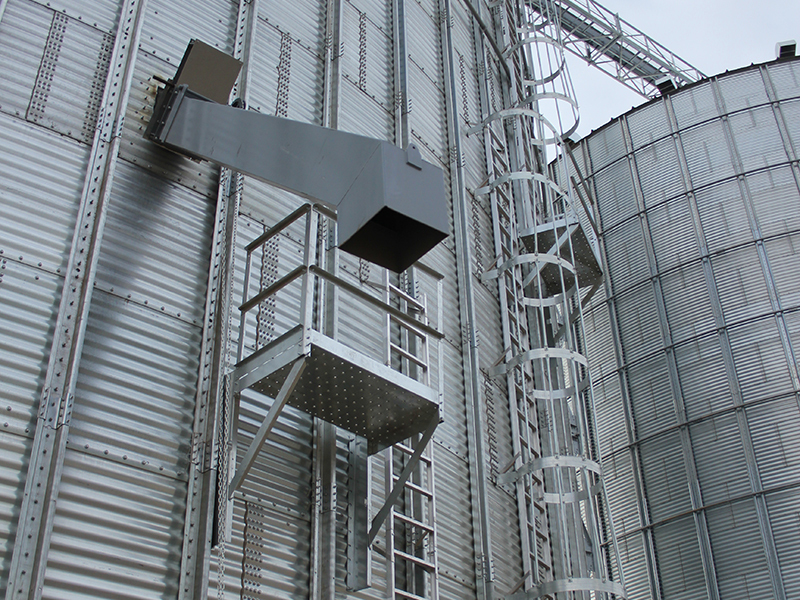 Accessories to enhance the use and functionality of your commercial bin. Provide solutions for your on-farm containment needs. With Dura Life systems, you are able to protect your investments, your farm and the environment. Dura Life farm containment systems are used to contain fuel storage on your farm. The EPA requires containment if you have over 1,320 gallons of fuel on your farm. The goal of the SPCC program is to prevent oil spills into waters of the United States and adjoining shorelines. SPCC applies to a farm which: Stores, transfers, uses, or consumes oil or oil products, such as diesel fuel, gasoline, lube oil, hydraulic oil, adjuvant oil, crop oil, vegetable oil, or animal fat; and Stores more than 1,320 US gallons in aboveground containers or more than 42,000 US gallons in completely buried containers; and Could reasonably be expected to discharge oil to waters of the US or adjoining shorelines, such as interstate waters, intrastate lakes, rivers, and streams. The Leading Provider of Secondary Containment Systems for the Oil, Gas, Petrochemical & Agricultural Industries. 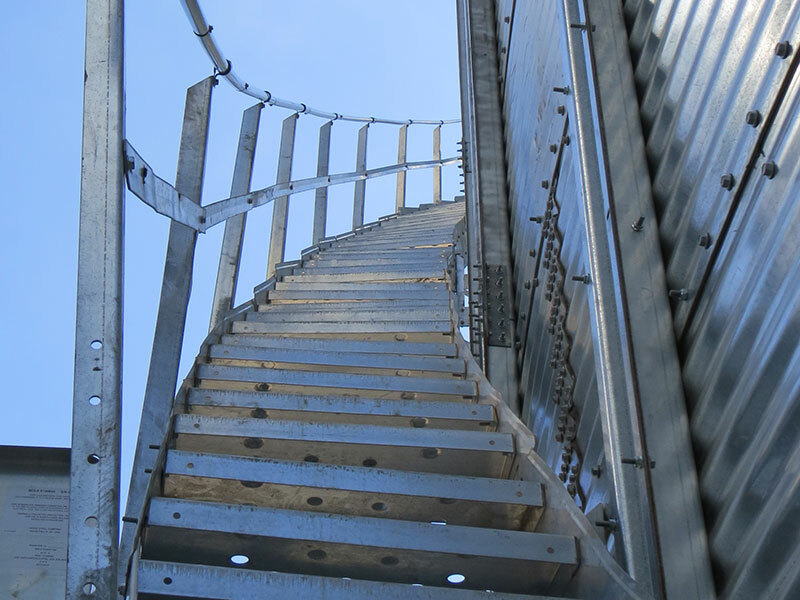 The first in the industry to engineer and develop the steel concept for secondary containment, we use only the highest quality, chemically treated, galvanized steel. The 65,000 PSI, heavy-duty 10, 11, 12 & 14 gauge corrugated steel construction resists rust and corrosion even in the harshest environments. Built with 10 gauge steel walls and patented Zpost’s set in concrete that protects the structure from frost heave. Designed by professional engineers that utilize state-of-the-art Finite Element Analysis tools to scrutinize every component in order to maximize durability and increase strength. Ground Guard Systems require zero ground penetration and are a perfect alternative for areas where underground systems are not an option. These containment systems require ZERO ground penetration and/or disturbance - taking away timely site identification that is typically needed when installing systems requiring post holes set in concrete. Ground Guard Systems take the risk of puncturing existing pipelines away by removing the threat of digging underground. Concrete materials are eliminated entirely, making the Ground Guard the toughest, all-steel system in the industry.